Climatizers are fully functional. They Slide on their own tracks, they open and close just like your present windows . Glass is cushioned for positive holding power, noise control. Interlocks at meeting joints. Finger grips for easy opening & closing. Frames overlap to prevent energy loss. Won’t turn yellow like acrylic & plexiglass. DESIGNED and ENGINEERED EXCLUSIVELY For EXISTING HOMES. Fully Functional For Easy Opening and Cleaning. Inside Mounted Over Your Present Windows. Stress Free One ( 1 ) Day Installation. Engineered Not To Conduct Heat or Cold or Amplify Sound like Aluminum. .More Acoustically & Energy Efficient Than Replacement Windows. Lower Utility Bills, plus Dust, Pollen and Odor Restriction. ALL You HAVE To DO Is MAKE YOUR PRESENT WINDOWS MORE EFFICIENT! There is a Huge Difference between Big Expense and Common Sense. 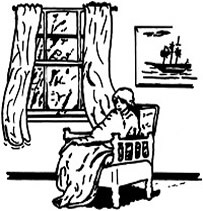 MYTH #2: Double Pane Insulated Glass Is The Answer To All Your Window Woes. 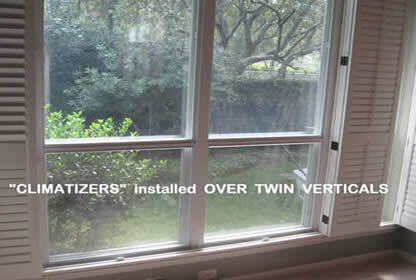 Over 2/3 of Climatizers are installed in homes that already have Double Pane Glass. Shockingly Some of These Homes Are But a Few Months Old. I Have Double Pane Windows, Why Do I Still Have Problems? You Can Make Your Current Windows More Energy and Acoustically Efficient. THAT ALREADY HAVE DOUBLE PANE INSULATED GLASS WINDOWS! MUST SEE #1: THINKING OF REPLACING YOUR WINDOWS? THINK AGAIN! Click To See What Contractors Never Tell You, But You Need To Know. CLIMATIZERS GIVE YOU THE BEST OF ALL WORLDS. 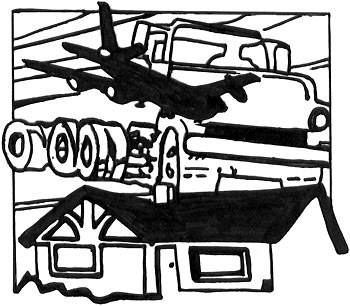 All Because of Loud and Unrelenting Exterior Noise.
. WHAT'S YOUR NOISE PROBLEM ? A Quiet Home is Relaxing and Serene with a peaceful sensation of well being and solitude. Unwanted Noise affects Home Enjoyment, Concentration, Behavior, Attitude and Health. 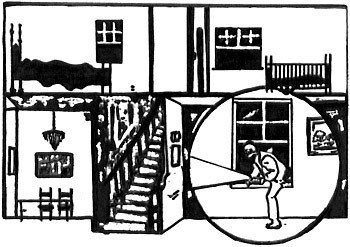 A pin hole is all it takes for exterior noise to penetrate. But that’s just the start of a constant annoying and irritating experience that interferes with the sanctuary of your home. A recent study shows that continual exposure to noise even at low levels can create health repercussions because noise is a psychosocial stressor that activates the sympathetic and endocrine systems. Constant unyielding exterior noise can trigger enough stress in humans to elevate blood pressure and cause muscles to contract. Persistent stress can lead to chronic hypertension, insomnia, indigestion and ulcers. The Environmental Protection Agency (EPA) reports; “The idea that people get used to noise is a myth. Even when we think we have become accustomed to noise, biological changes still take place inside us”. Stay Cool When It's Hot and Warm When It's Not! Never Be Cold & Miserable Again! Averts Outside Tempeatures From Interfering With Your Interior Home Comfort. Back To Top Back to Benefits. to exact measurements to ensure a snug and tight fit to prevent dust infiltration. Gas or Solar Energy Source. 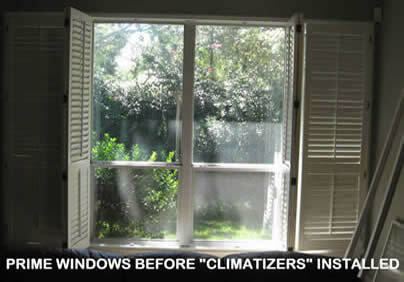 "Climatizers" Cost a Fraction of Expensive Replacement Windows. "Climatizers" are an investment that pays for itself and Keeps On Saving $$$ Day after Day after Day. 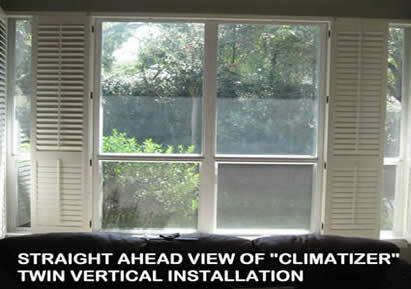 "Climatizers" are 140 times More Energy Efficient than outside aluminum storm windows. "Climatizers" Reduce Energy Loss and require NO Special Maintenance or Upkeep. Save Thousands of Dollars by Eliminating Central Heating and Cooling System Repairs or Replacement. No matter what your reason for installing "Climatizers" in your home, by reducing fuel consumption, Without Having To Sacrifice Comfort, Climatizers are without a doubt one of the few things you can do to your home that pays for itself. the Climatizer provides the ideal break for optimum energy and acoustical efficiency. No tools or dangerous ladders are needed. tear out mess, and installation can be done in one day.